Going green means you make mindful decision about your daily choices regarding every aspect of your life, from brushing your teeth to meditating and relaxing in the nature. You will feel inner peace and creativeness, while recycling, preserving and restoring. Going green is economical, ethical and fun. Children's garments from BuddhiWear Organics run true to size but are not pre-shrunk. If your little one is in-between sizes order up one size to allow for shrinkage, (will shrink an average of 1/2 size in the wash). The tank tops shrink a little bit more than the other garments but they are also very stretchy, please take this into account when ordering. 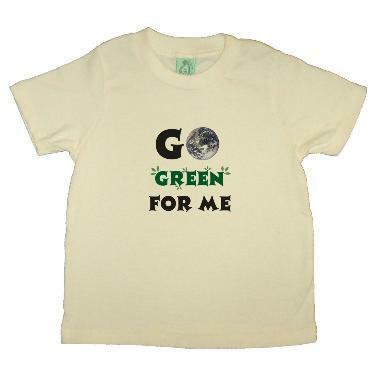 Organic Cotton clothing is extremely soft, prints are breathable, environmentally sustainable and durable wash after wash.